InfiniteNIL has released Packrat 2, a major upgrade to its offline Backpack client. Packrat lets you use your Backpack account when you're offline. Before you hit the road for the first time with Packrat, just use the Synchronize command to sync with Backpack and all the data from your account is duplicated on your Mac. View and edit your data offline or online. When you're online, Packrat will automatically inform Backpack of your changes and your account is kept up to date. This post details what's new in the latest edition of Packrat. Packrat is now a document-based application so it can support multiple Backpack accounts. Just create a document for each account. 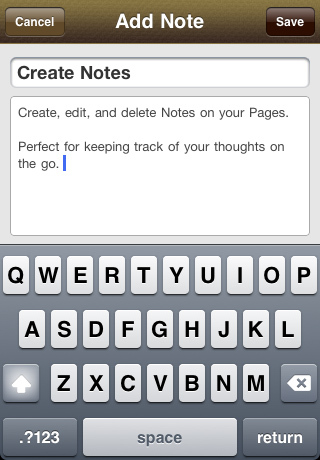 Editing of page items is now inline, just like on Backpack. Use drag and drop to reorder page contents. Attachments and images are now downloaded when you sync so you can access them when you’re offline. Packrat’s page rendering has been completely redone to allow things like inline editing and other enhancements that will come in future versions. MacUser also discusses the update here: Packrat 2 brings deeper Backpack integration, more. 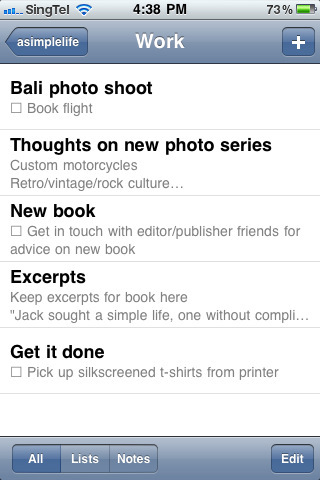 Backpocket is a third-party Backpack client for the iPhone. Easily access your Backpack account to create and edit pages, notes and lists on the go with a simple, consistent and intuitive interface. Backpack's Calendar is a great way for families to stay on the same page. As Marc Hedlund writes, "My wife and I use a shared Backpack calendar and it's been a huge help. We use it for social planning, appointments, reminders, and important dates." Create as many calendars as you want and color code each one (a different color for each family member perhaps?) for easy identification. Then your family's soccer practice, vacations, birthdays, and graduations can all find a home in a single calendar. Today we officially release the 37signals Suite. The Suite is a bundle of our four big apps: Basecamp, Highrise, Backpack, and Campfire for one low price (starting at $99/month). It also means you can share users across all accounts and get one single bill per month. More details on the benefits, plans, and how to sign up are available at the Signal vs. Noise post announcing the launch. Backpack is a great way to keep travel plans organized. Let's say you've got a bunch of info to keep track of for a trip to Seattle and BC. Flight info, ferry info, hotel info, a restaurant to check out, etc. Instead of keeping all those links and emails floating around, you can add them to a Backpack page. Want to be able to easily access all that info straight from your email inbox? Use the "Email me a copy" option in the footer of your Backpack page. Backpack will send you the contents of the page via email. Now you've combined all those links and notes into a single email for quick reference. That's a lot cleaner than having dozens of notes and confirmation emails floating around your inbox. Macworld calls Backpack "a good way to keep track of travel plans"